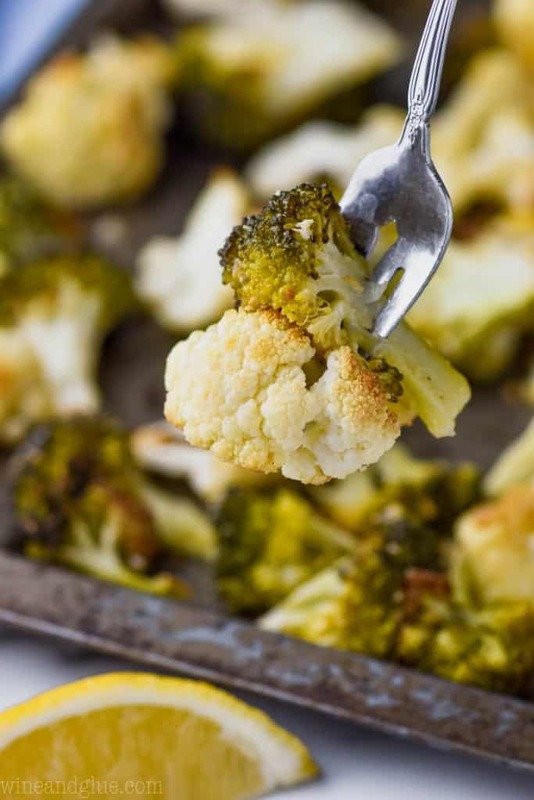 This Roasted Broccoli and Cauliflower is a quick and easy side dish recipe that your whole family will love. 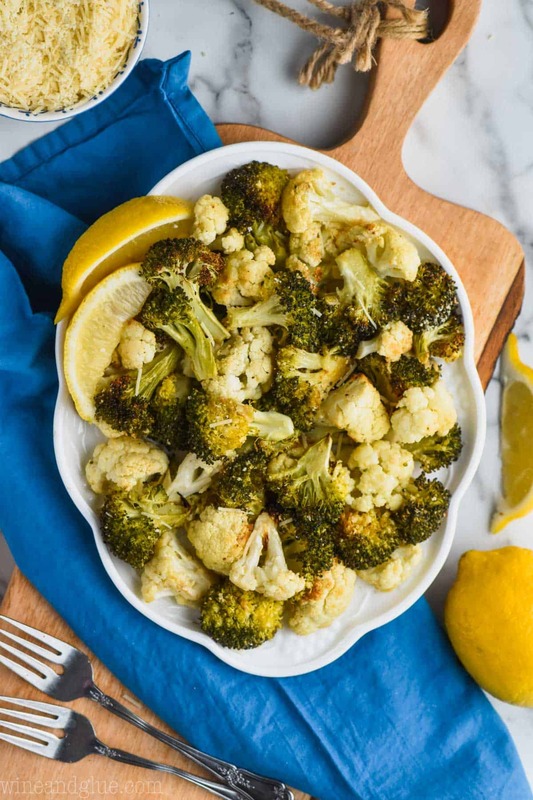 It’s easy to customize and change up, making your roasted broccoli and cauliflower with parmesan or even a little lemon. 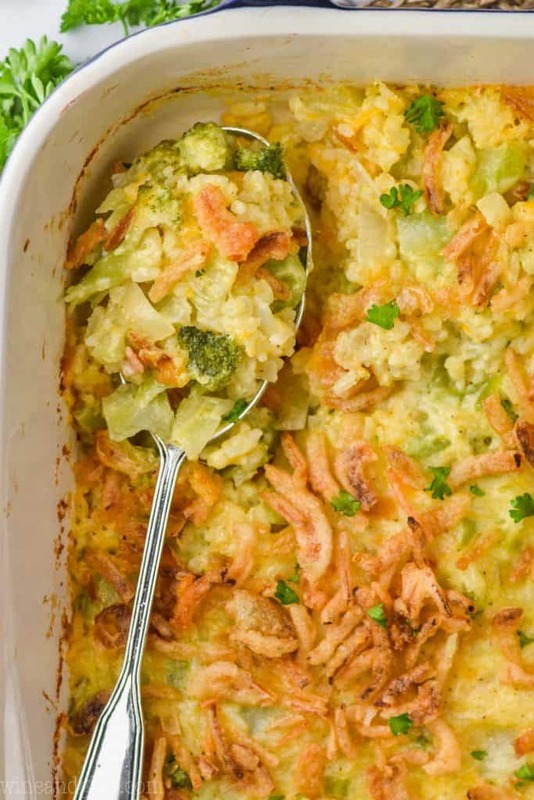 This is a regular side dish in our house, especially when we are eating pasta and the best Italian meatballs. I heard once upon a time that kids need to try a food 10 times before they will like it. So, armed with that information, I have been on a mission ever since to force a love of vegetables on my children. My parents did a million things right. Seriously, I aspire to be half as good of a mother as my mom was. But one thing I truly appreciate that they did for me was cultivate a love of a wide range of foods. Really teach me how to have a well rounded diet that always included vegetables. 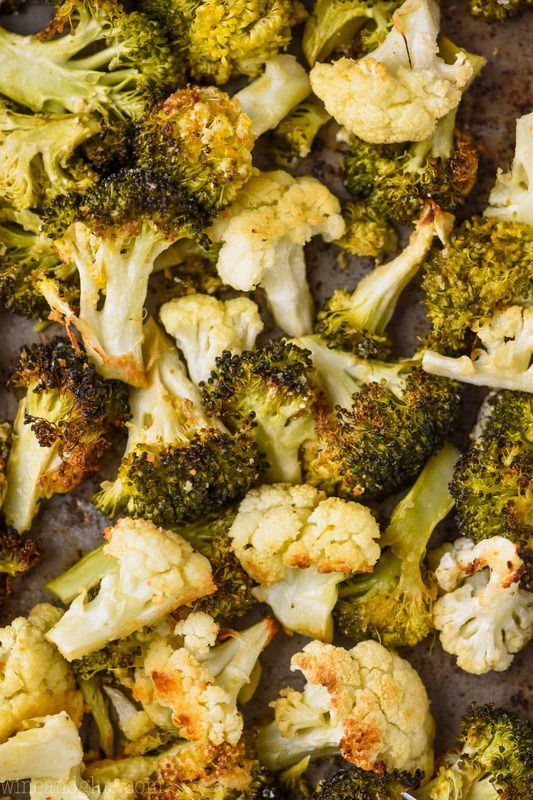 So for years now I’ve been trying to get my kids to love roasted broccoli. I take that back actually. I’ve been trying to get them to eat roasted broccoli. I make it every time we have pasta and sausages, which is almost weekly. We are now at the point where all of the kids eat it without any debate, discussion, or negotiation. 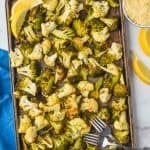 Recently I decided that I wanted to branch out, so I made them this Roasted Broccoli and Cauliflower. Oh my. You would have though I had fried up grasshoppers with the broccoli. But! They all tried it and they all immediately told me that they liked it more than they liked the broccoli. This roasted broccoli and cauliflower is so simple to make and you can easily change it up to fit your tastes or keep it super simple for the kids. Hey! Leave me a comment and tell me how you get your kids to eat their vegetables! 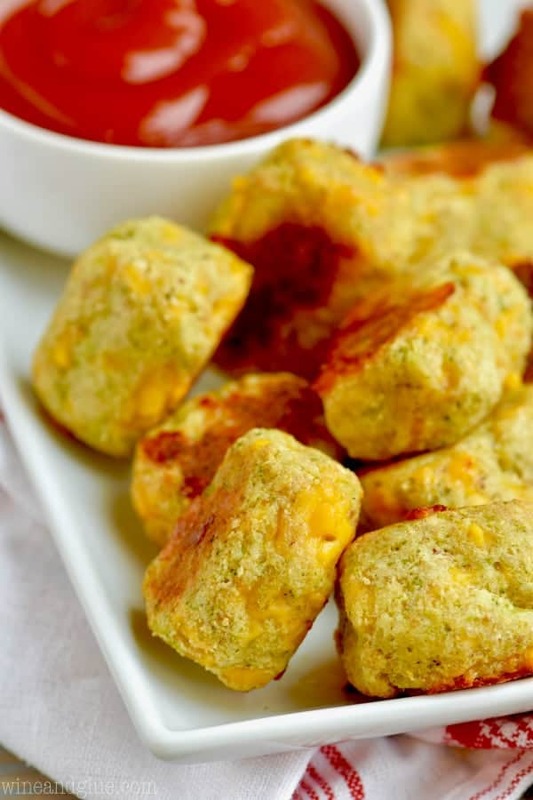 Cut your broccoli and cauliflower into small bite sized pieces. My kiddos don’t like the stems of the broccoli, so I cut that off and eat it raw while I’m cooking. Because I’m weird like that. 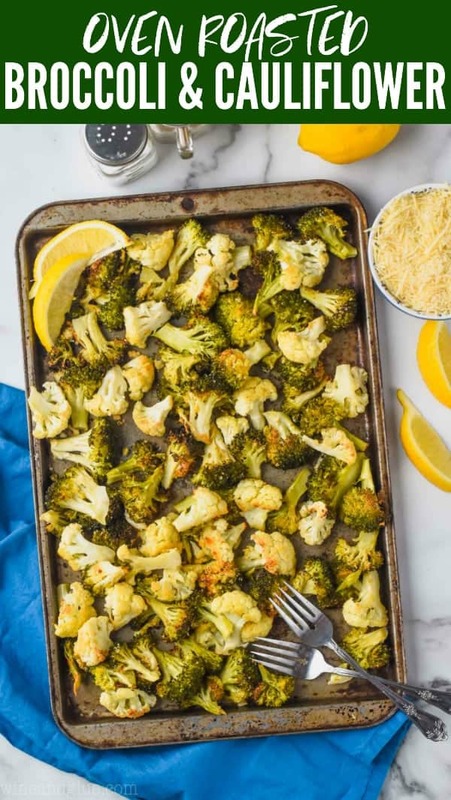 If you are only using olive oil and garlic salt, you can toss the vegetables with the other ingredients right on the baking sheet (as seen in the video). 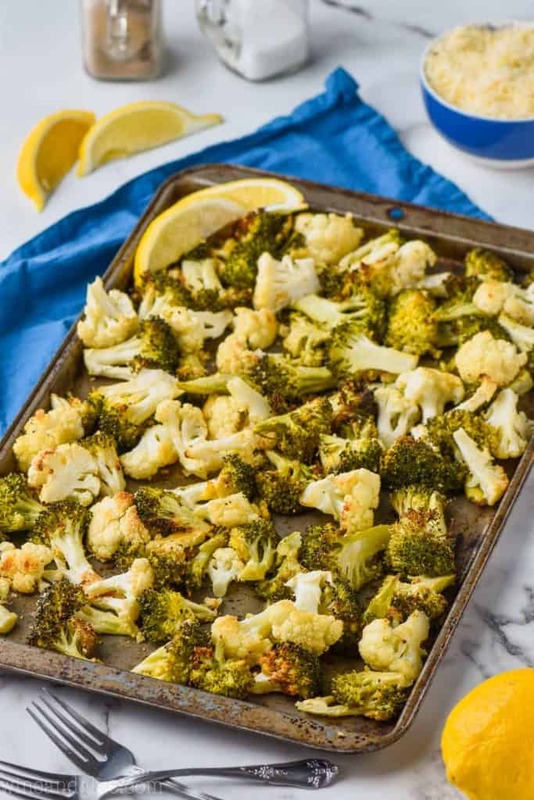 If you are using additional ingredients, or if you had really big heads of broccoli and cauliflower, I would recommend tossing the ingredients in a large bowl and then pouring it all onto a baking sheet. Bake. I would start checking on it around 30 minutes so you can see how done you want it. I like mine pretty roasted, so I would edge more towards 40 minutes. Preheat your oven to 400 degrees. Prepare a rimmed baking sheet with parchment paper. In a large bowl, combine all of the ingredients. Toss to throughly combine. 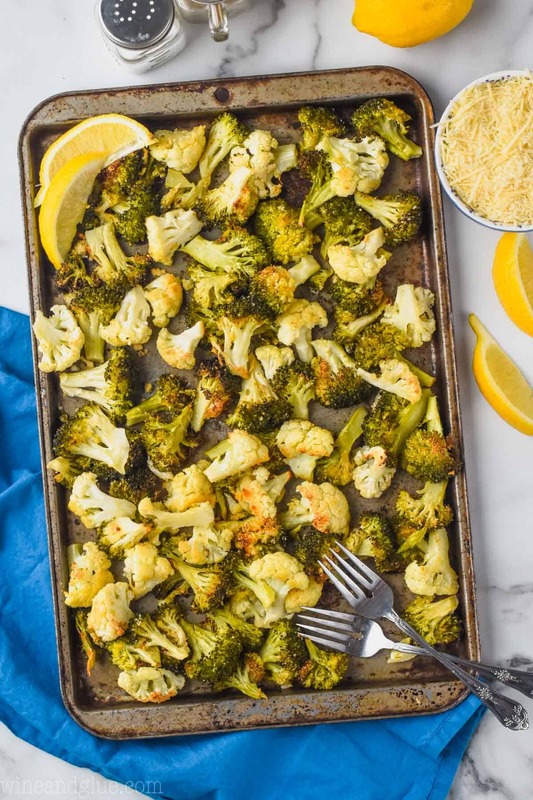 Spread the broccoli and cauliflower out on the parchment paper and bake for 35 to 45 minutes or until your desired level of roasted-ness. 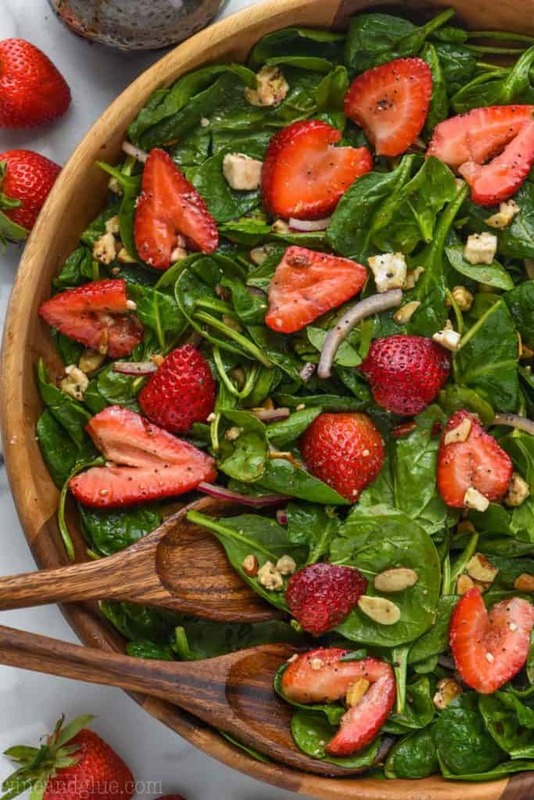 If you would like to skip the parmesan and lemon juice, you can skip mixing in the bowl. You can just pour the olive oil and garlic salt over the broccoli and cauliflower on the tray, toss to combine, and roast (as seen in the video). I make these veggies often too. Sometimes I toss with Sweet thai Chile sauce, add onions, mushrooms ..delish. I’ve roasted red peppers with veggies, drizzled with balsamic glaze and parmesan before serving. More yum.